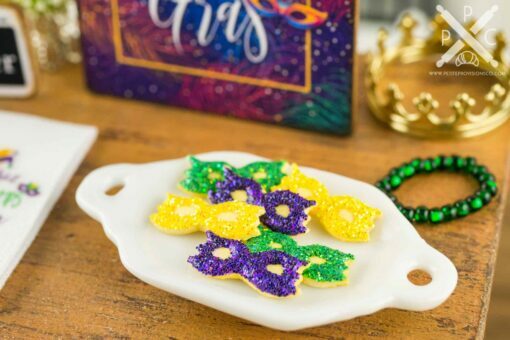 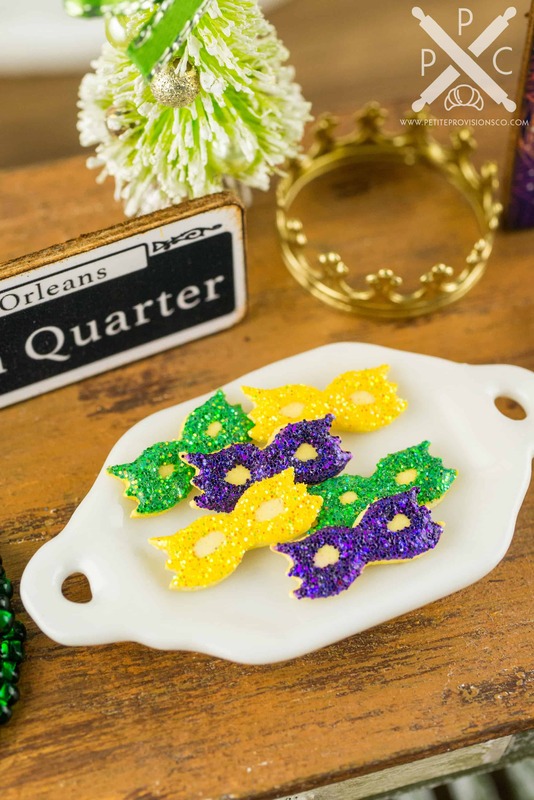 Dollhouse Miniature Mardi Gras Mask Cookies - Half Dozen - 1:12 Dollhouse Miniature - The Petite Provisions Co. 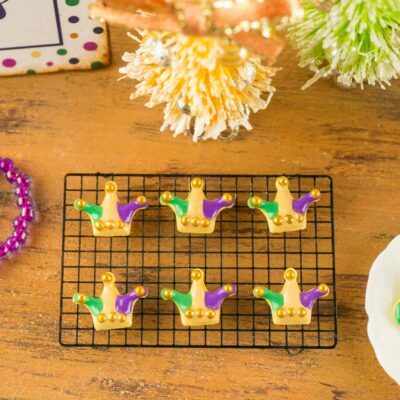 These are a half-dozen adorable iced cookies for Mardi Gras decorated as sparkly masks in green, purple and yellow! 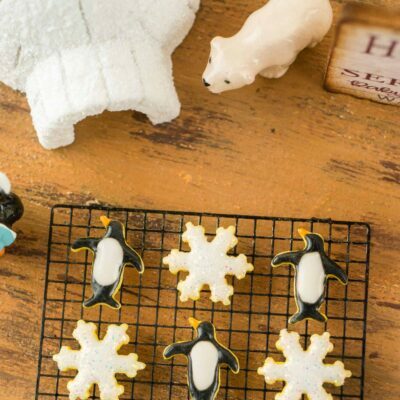 Whether you have a dollhouse or just love all things tiny, these bite-sized carnival iced cookies are too cute to resist! 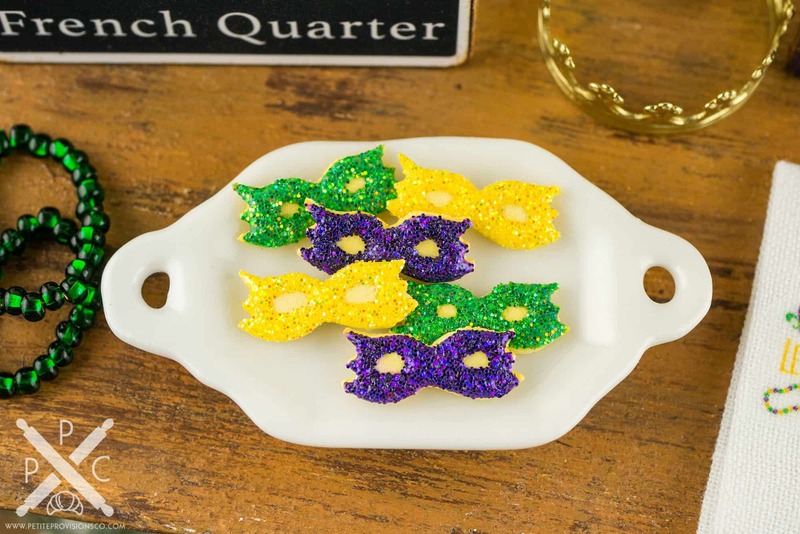 6 iced cookies decorated as Mardi Gras masks in glittery yellow, green and purple. 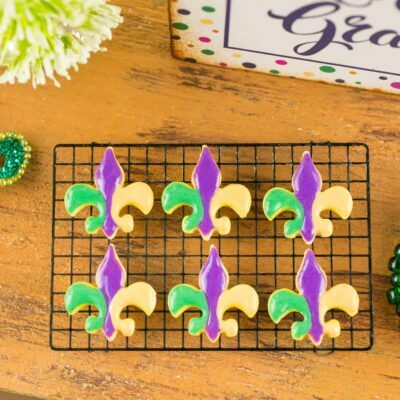 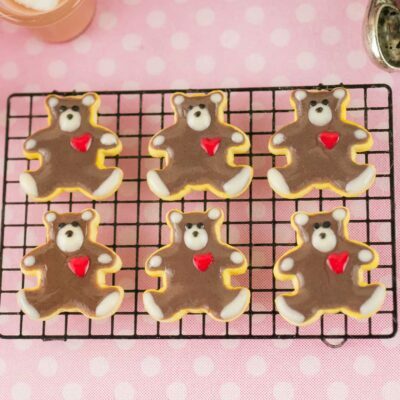 Each cookie is approximately 1/2″ on its longest side.